Become An Instagram Sensation Overnight! Instagram is one of the most powerful social media business platform available right now. 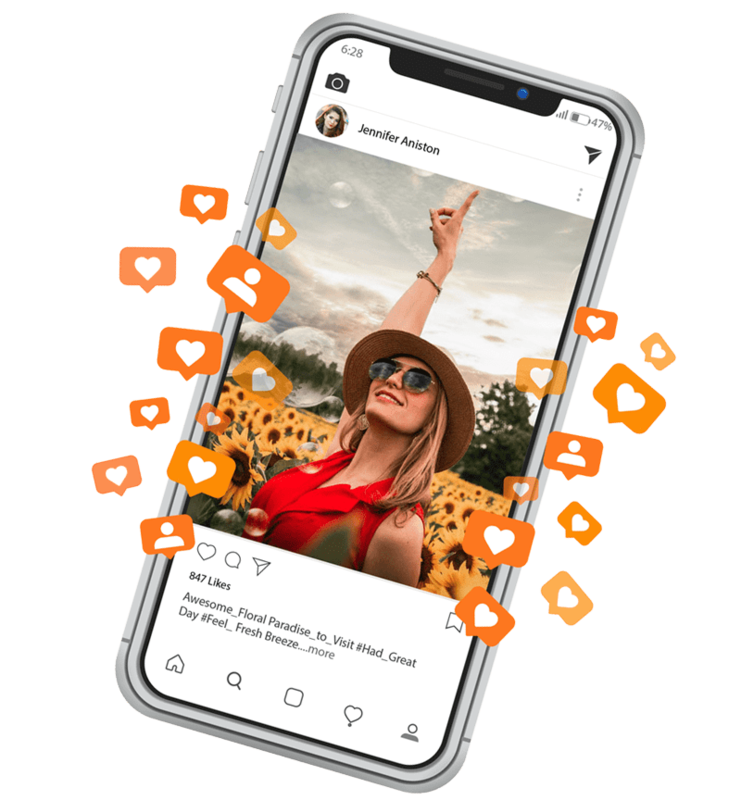 iDigic has revolutionized brand building on Instagram by pioneering several services since the launch of the app back in 2011. Gaining audience, reputation, and engagement for your brand has never been easier! We can deliver the authentic Instagram followers you need through our packages to your account right away - your own audience instantly! The more likes your post has, the more credible it is - boost your brand with Instagram likes and no Insta password required! Popular posts on Instagram have thousands of comments - now get your posts to the front page when you buy genuine Instagram Views from us! Get a free trial RIGHT NOW, no questions asked! We’d like to prove how quick and effective our services are. Try our free trial package – no signup required. You can select any combination of packages you want from our services page quickly and easily. Enter your Instagram username, and verify your account with ease. We DON’T require your password. Once you’ve selected your order and user name, complete your order for instant delivery of services to your Insta account. All your payments are made through verified portals which ensures that your privacy is protected. iDigic has an extensive customer roster built on years’ worth of trust. Read what our buyers think about our range of service. I was overwhelmed and excited to check out the free trial package and went for it. The followers are real and my experience was thoroughly professional. I tried different websites in the past, but none came close to iDigic. Recently placed an order for 5k likes and I’m extremely happy with their turnaround time. Opted for a package of 1000 followers from iDigic recently. I’m quite surprised to check out the profiles of the real and legit followers added to mine. Highly satisfied! Not sure what you want to buy? We have several packages that you can opt for backed by our comprehensive guarantee – click the button below to find out more.